All Week Plumbing is proud to be among the selected few that are fully licensed and verified dealers of Rheem heating equipment . 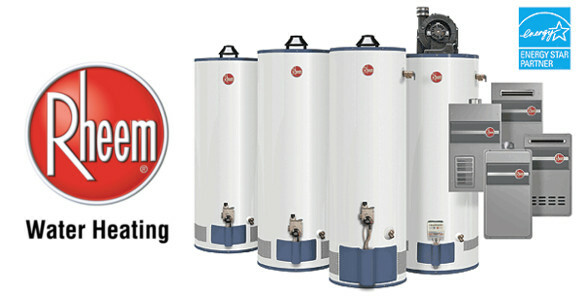 Rheem is among the top leading water heater manufacturers in the world. They have been in the business for more than 60 years now, and for a reason. Their products are reliable, efficient and only of the best possible quality. If you have a Rheem boiler at home or plan on getting a brand new one, you have to make sure the technicians doing the water heater installation NJ are familiar with the Rheem brand and licensed to sell it. If you find yourself in need service, contact us at All Week Plumbing and experience a stress free, professional approach like you haven’t seen before at any other company. One of our top services includes a 24/7 emergency service that you can count on when your boiler breaks down and needs a quick repair. Boiler repair is just one top quality water heater service NJ that we offer. Being a certified Rheem dealer, our technicians are specialized in dealing with these types of boilers. We offer our customers full water heater service including; installations NJ, replacement NJ and simple yet efficient ways on how to improve and maintain your Rheem boiler. Some of the most commonly chosen water heater types include: commercial and residential heaters, tankless water heaters, solar and even hybrid . Whatever the quality of the heater, even if it is a Rheem boiler, it won’t last for long if it is not properly taken care of. Regular checkups of your new device can prevent bigger problems and breakdowns from happening, saving you money on unnecessary repairs and replacements. We at All Week Plumbing stand at your disposal every day of the week, all throughout the year, whatever heating service NJ you need.